Pavement: will play for food. Rumours abound that Pavement may add to the number of monster 90s indie acts reforming this year. Guitarist Scott Kannberg (aka Spiral Stairs), has said that relations between the band, who split in 1999, are now "fine" and that their booking agent is in negotiations with festival chiefs at Coachella. In the interview, he confirmed the possibility of a reunion but suggested it would only happen if the price is right: "Coachella keep asking our booking agent, but our booking agent's pretty strong, you know, he's waiting for the right number I think." he told music paper Loud and Quiet. While a reunion for Coachella may be improbable, Kannberg seemed optimistic about a future reformation, saying: "2009 would be our twenty-year anniversary too, so that'd be a good time to do it, but I think that's too soon, it might have to be pushed back later." 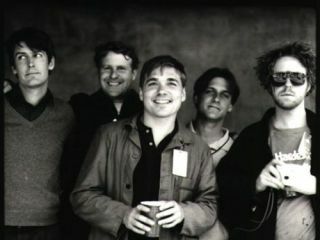 Reform or not, Terror Twilight, the last album by Pavement, is due to receive remastering treatment this year, and Kannberg has alluded to some previously unheard material also being released.